It gives me great pleasure to be the one to announce the site of the new Truman Brewery – due to start brewing early next year – in Stour Rd, Hackney Wick, sandwiched between Forman & Sons, the East End’s oldest salmon smoker, and the Algha Works, where spectacles have been made by hand for over a century. The New Truman Brewery will be London’s third biggest brewery and this is the largest investment in brewing in the East End in twenty-five years. Most excitingly, it is the beginning of a new chapter in the story of Truman’s that began in Spitalfields in 1666. 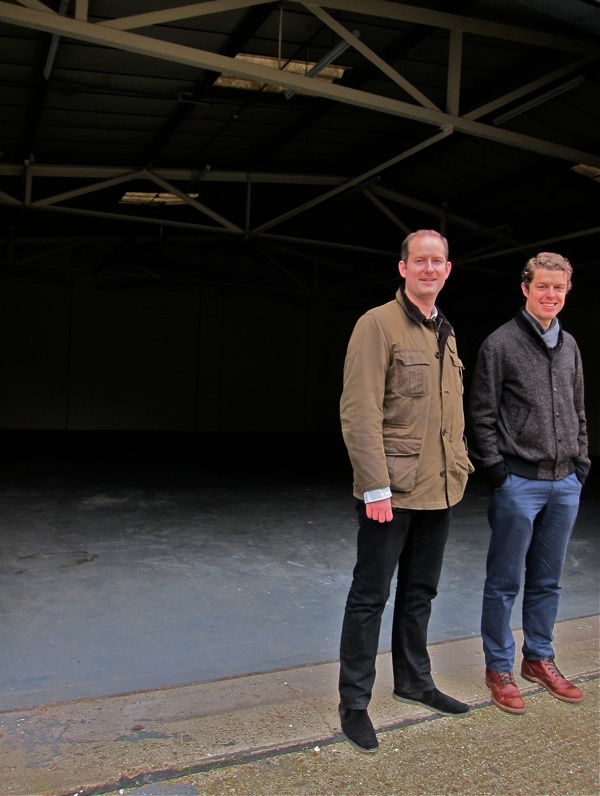 In the midst of the economic crisis, it has been an extraordinary feat of perseverance that this duo have pulled off, raising entirely private investment, negotiating the purchase of the Truman’s name, launching the beer back into pubs successfully, finding for the site for a new brewery in the East End and buying it too. Within the shell of two vast industrial units, there will be cold storage for a thousand casks, a laboratory, offices and a series of massive brewing vessels, a mash tun and a copper – essentially a giant kettle containing 1600 litres (forty barrels) of beer at a time. Once it is operating, this new brewery will be sufficient to satisfy the thirst of the East End for years to come. “Our challenge is to find a balance between being the inheritors of a seventeenth century brewing tradition and being a contemporary brewer,” admitted Michael-George, “It is of paramount importance to us to produce a beer that is worthy of Truman’s name.” Now the search is on to raise the final investment necessary and find a head brewer. Amazingly, Truman’s yeast from 1955 is preserved in the National Yeast Bank in Norwich which makes it possible to brew a Truman’s beer today that contains an ingredient which connects directly to the three centuries of Truman’s in the East End. Operating on a larger scale than the microbreweries that have sprung up in recent years, Michael-George & James are passionate to bring manufacturing back to the East End, employing local people and training them in skills which can sustain the future of an industry here over the long-term. Michael-George & James are driven by a shared passion, recognising that Truman’s is an integral part of the cultural identity of the East End, and it will be an inspiration to us all when the most famous brewer is back brewing on home ground next year. Cheers everybody! Truman’s is back on the road again. This is great news. By the way i love yor blog, it is a work of art. Thank you. I spent 30 minutes waiting for the 106 yesterday to travel from Stoke Newington to Sutton House. No wonder it was so slow, look at the state of it! Fantastic news! It’s been great in the last few years to see breweries like London Fields, Camden Town, Kernal and Crate establish themselves.. Pubs like The Fox, The Southampton Arms, Euston Tap, Brewdog etc have been stocking the ales and beers. It’s so satisfying to go and get a pint of ‘Hackney Hopster’ round the corner from my flat. Still, most pubs offer tasteless stuff like Kronenburg, Foster, Heineken and Carling – all imports! superb lads hope you do well this time next year you could be millionares mai qui…. As a CAMRA life member – thank you! When is the first brewery tour? Fabulous news! The Pryors (a Quaker family) were Directors of the Company in the 19th and 20th Centuries. 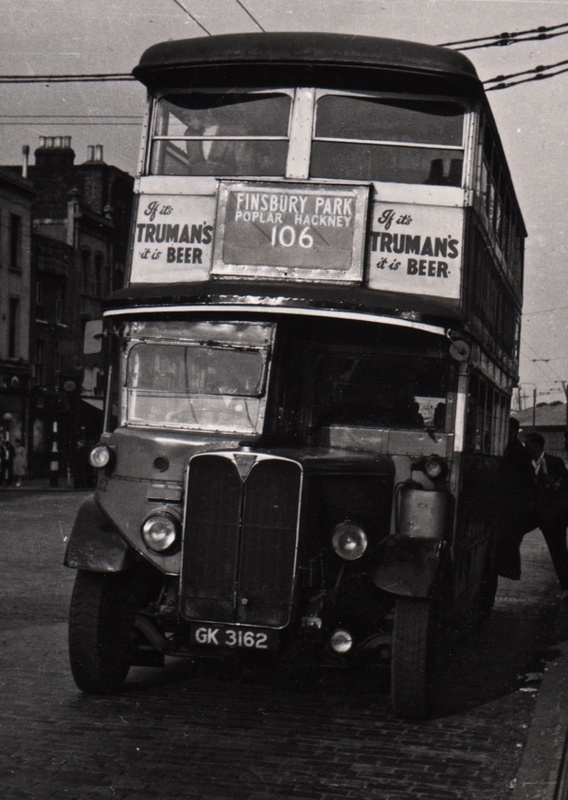 I was a humble graduate trainee at Brick Lane for 18 months in ;68 and ’69, during which I got legless on their ambrosial ales more times than I care to mention. Bon Voyage for the future. CHEERS! Hi, I grew up on Truman beer until the brewery close. I was married in 1966, a great year, Married, England won and we all went to Truman’s 300 year visit with the Rose and Crown, in Hartlip, Kent. Our Hops were used there, Wakely’s Hops. I worked for sixteen years at Trumnans untill it was closed down. I was senior brew house operator in the new brew house that was built. The old brew house was pulled down for the new office blocks of the companies business. At that time it was run by josepMaxwell . I would like to know how could you use the old name for your brewery, it gives the wrong impression that the brewery is still working. What was wrong in using your own names . Do you use their recipeses. I belive you are fooling the public that you are still the real Trumans.